Mr. Anthony Ferguson, CFAL’s President and Founder, established CFAL in March 1997 with a team of industry leaders and experienced professionals, to provide both institutions and individuals superior products and solutions in investment and pension management, pension administration, corporate advisory, registrar and transfer agency and brokerage and trading services, at competitive rates. Prior to establishing CFAL, Mr. Ferguson was the President of International Portfolio Analytics, an international investment management firm based in the Bahamas, which held assets under management in excess of $600 million. Mr. Ferguson has held key positions at a number of internationally based financial institutions in the Bahamas, accumulating over 35 years of experience in investment management and advisory, economic and financial analysis, trading in both the fixed income and equity securities markets, corporate governance and governmental advisory services. Anthony Ferguson is also a well sought after authority on economic development and is frequently featured on local panels, talk shows and conferences. In additional to his professional experience, Mr. Ferguson also served as past President and Director of the Bahamian Association of Investment Management Research (now CFA Institute) and past member of the Securities Market Task Force established by the Government of The Bahamas. He was also formerly a member of the National Insurance Board of The Bahamas (a quasi-government agency with over $1.5 billion in assets), the Airport Authority of the Bahamas and the Nassau Airport Development Company. Back in 2012, Mr. Ferguson was appointed a member of the government-appointed 2012 Task Force on Pension Legislation. He was also a past Director of the Airport Authority of the Bahamas and the Nassau Airport Development Company. 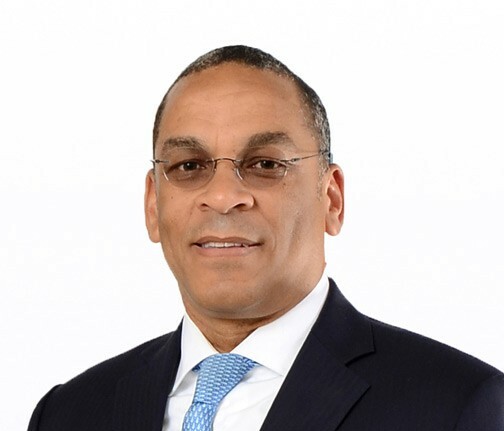 Mr. Ferguson currently serves as Director of Colina Insurance Limited, a publicly traded company; Colina General Insurance Agency, Ansbacher (Bahamas) Limited, AF Holdings Limited, St Matthew Capital and Caystone Solutions Limited. Mr. Ferguson’s desire to pursue a career in investment management was born out his passion to help people avoid financial difficulty. He had a keen desire to help people solve their financial problems and to assist savers make a reasonable rate of return on their investments. He earned his Associates Degree from the College of The Bahamas (currently the University of the Bahamas) in 1981 and his Bachelor of Business Administration degree from Acadia University in 1984. Mr. Ferguson was also awarded the Chartered Financial Analyst (CFA) designation in 1987, and has previously served as President of the CFA Society The Bahamas. He earned the Certified Market Technician designation in 2004, and is a graduate of the Kellogg School of Business Executive Program.